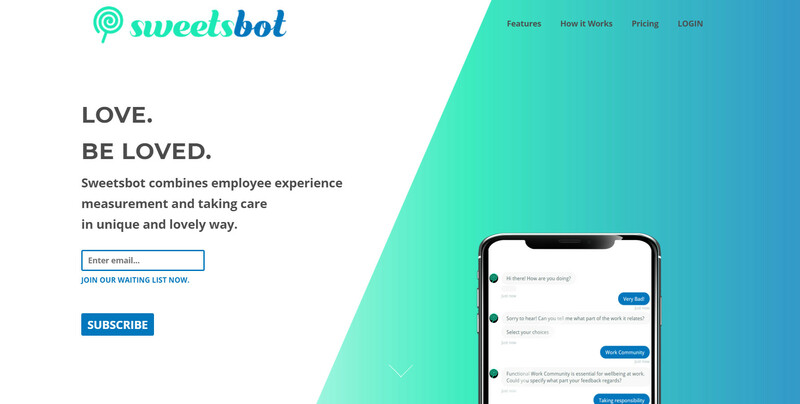 Sweetsbot combines employee experience measurement and taking care in easy, unique and lovely way. - Businessangels.fi - muutakin kuin rahaa. Every year millions of people suffers from burnout, work-related stress or anxiety. Too often people are alone with these problems and won´t get help before it’s too late. People might feel ashamed, afraid of losing their job or just not listening themselves carefully enough. At the same time companies are thinking how their staff are doing and how they can improve their employee experience, prevent burnouts and other serious conditions and make more profit. Imagine if these could be combined. Employees would get early advice and help if needed and employers would get realtime info how their staff is doing and how to improve things so that everyone´s can be happier and healthier in their work. With Sweetsbot this is possible. We are looking for investor(s) for Tekes Tempo project. Please contact us for investor deck and more details. Next articleTarvitsetko apua pitchaukseen? Palkkaa coachi!